Welcome to the Canberra Modern Quilt Guild. For further information about the guild please see our 'About' page. We look forward to meeting you soon! 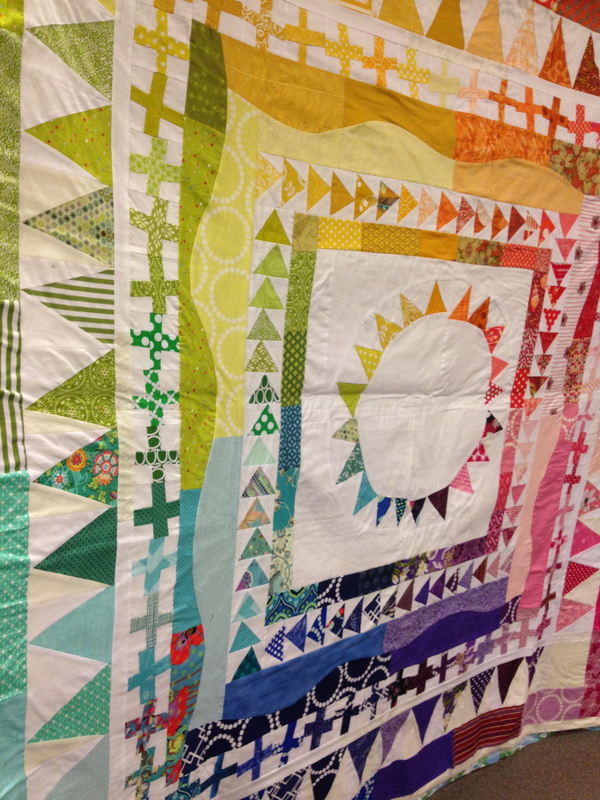 After one of the Canberra Modern Quilt Guild’s members had seen so many great charity quilts at the previous years’ QuiltCon, she inspired the Guild to create our own version for 2018. With the theme of “modern traditionalism”, we wanted to use a base block that we hadn’t often seen used in modern quilts. We also wanted a block that everyone in our guild could help with, whatever their experience level in modern quilting. 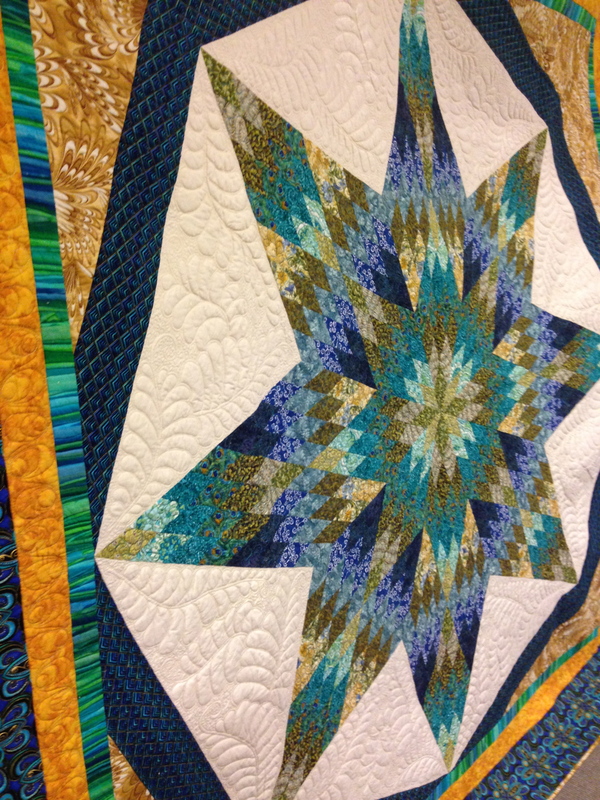 Guild member Carolyn Goonrey came up with a few designs using the rail fence block. This was refined to the final design, which used space and colour to explore what a fence and boundary means. This theme and block resonated strongly with our Guild, as planning regulations in Canberra don’t allow front fences. Instead, people find other ways, such as fences made of shrubs, to put in barriers around their houses. When talking about the theme of fences, we also reflected on the many conversations taking place in Australia around refugees, and the hardline stand that the Australian Government takes. We called this quilt “Don’t Fence Me Out” to reflect how we want to be more open and inviting to our neighbours and refugees. Once the design was finalised, Carolyn set up foundation paper piece patterns. This ensured that regardless of different skills, machines or seam allowances, the final blocks would all be consistent. The first group of blocks were made at our annual Canberra Modern Quilt Guild show to demonstrate the work the Guild does. Blocks were also given to interested members to put together. Our September 2017 sewing day had Guild members working hard to finish the remaining blocks. After a final sewing bee weekend at a member’s home, the top was finished. To keep with the theme, we wanted to quilt “welcome” in different languages that reflect the heritage of our members, as well as the Ngunnawal and Ngambi peoples – the Traditional Owners and custodians of the land where the city of Canberra was built. These words were then quilted across the quilt, along with straight lines to reflect the borders and boundaries that are around us all. A floral motif was added to represent the Canberra bluebell, the floral emblem of the Australian Capital Territory. It was great fun working with the guild to pull this together. After being displayed at QuiltCon 2018 in Pasadena California, the Guild will use the quilt to support a local charity benefiting refugees. CQMG member putting blocks together at our annual show. Members paper piecing at Sewing Day. Quilting hanging off a very Aussie verandah. Here’s some photos from our August meeting. The show and tell just kept coming and then we had a chance to look through the latest fabric range from Polkadottea. 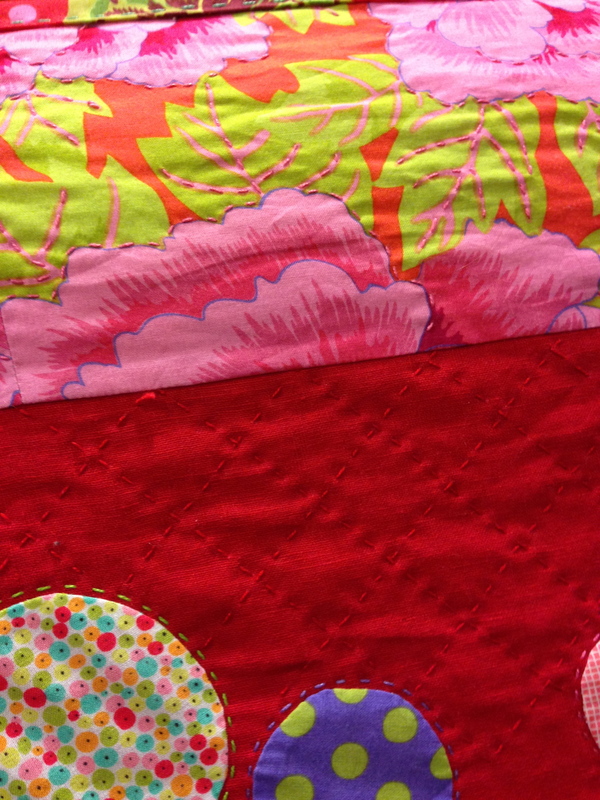 A close-up of Coral’s free motion quilting. Stars and feathers anyone?! Amira’s rainbow version of the Modern Medallion! 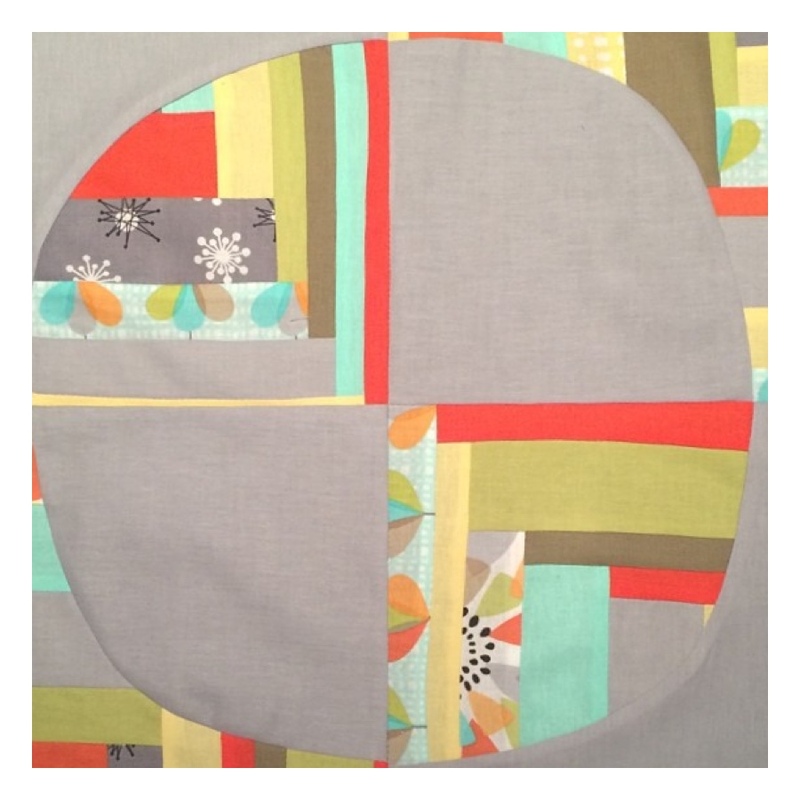 Clair used her own @beeandlotus fabric in the centre – bold and beautiful! 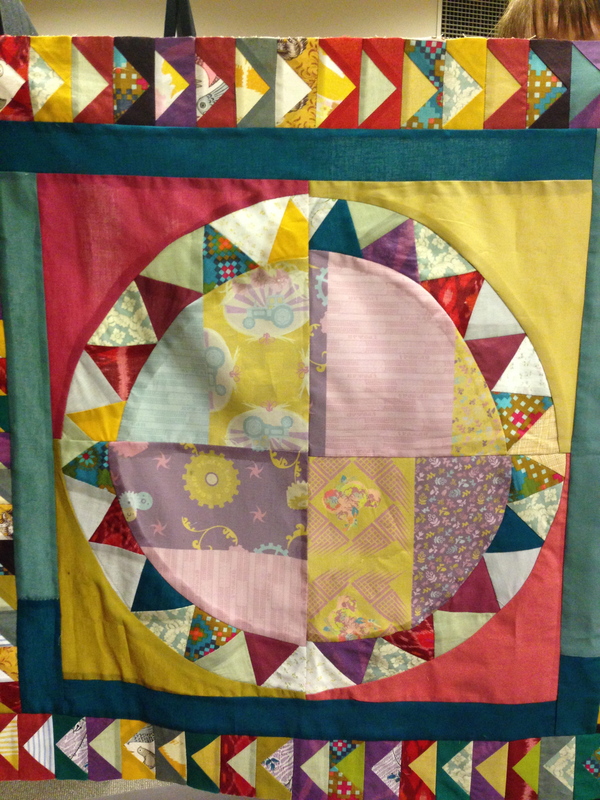 A close-up of Danielle’s hand quilting. A Sarah Fielke pattern. Lots of acid green, purple and red in Tracey’s quick finish – speedy gonzales!! Just finished the day before the quilt meeting – a Sarah Fielke pattern. Hand appliquéd and quilted by Danielle. A reminder that our next meeting is next Thursday, 28 August. For any newbies, we meet at the civic library from 7:30. There’ll be lots of show and tell and lots of great news!! Do a couple of people want to put their hands up to bring supper? Come and join us! Our next sewing day is on Sunday. When: Sunday 10 August from 9am to 4pm. Where: Addicted to Fabric, 25 Dundas Court Phillip. Cost: Members $4, Non-Members $15. RSVP: 8 August here in the comments section. Bring: Your sewing supplies, your own lunch and something to share for morning/afternoon tea (optional). Come along for the whole day or just part of the day. There’s only limited space for machines (about 10 spots). There’s also lots of room for hand sewing, a huge cutting table and a design wall. It’s a great way to see your work in progress in a new light….Hope to see you on Sunday! How is everyone going with their Michael Miller challenge projects? We’re really looking forward to seeing what everyone has been working on. Here’s a little sneak peek of Crystal’s improv circles! So, only another week to stitch down your binding, or whatever else you may need to do to finish, and at the meeting on Thursday we will vote for our favourites. The victor will win a prize donated by Polka Dot Tea – two metres of Cotton Couture solids of the winner’s choice. And of course there’ll be a vote of a different kind – to elect our new committee. Everyone should have received an email from our returning officer Georgie Kelley asking for nominations. If you haven’t received the info, and/or would like to nominate yourself, or someone else (with their permission), please send an email to Georgie – georgie.kelley@gmail.com. If you’re not able to make it to the meeting, you can still vote. Just make sure you let Georgie know. Wanna be part of a textile festival in France? The International Textile Festival in France this year has asked for entries from across the world. They have asked for grandmother’s flower garden hexies – made from scraps and up-cycled materials. They would like to receive flowers made by stitching together seven hexies. They want the hexies to be made by hand. The flowers are due on 30 July. According to Australia Post’s international guidelines, the flowers would need to be sent mid July.Let’s aim to hand in our flowers at the June meeting – Thursday 26 June. The guild will pay the postage. We’ve just received an email from the Wollongong Modern Quilt Guild, who are organising the Modern Quilt Show in Berry on 3-4 May. 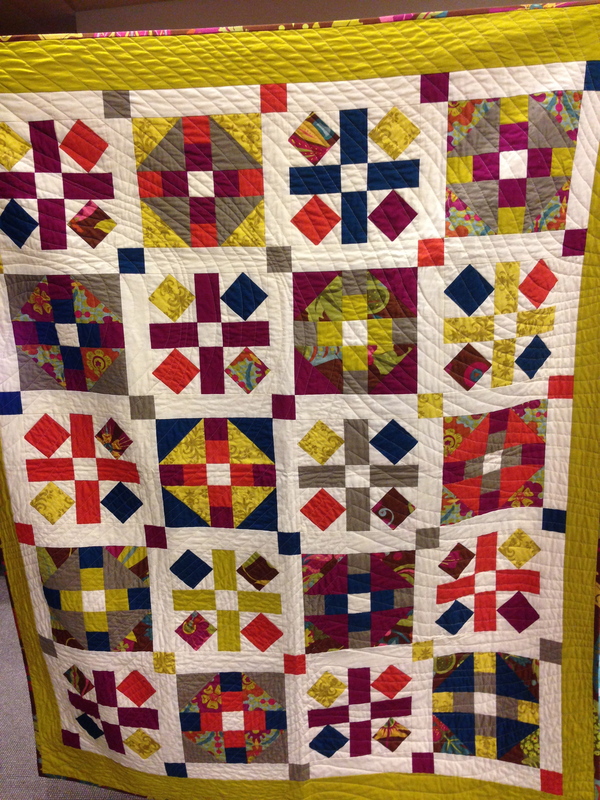 They are expecting 120-150 quilts in the show and a kids section of 20-30 quilts or quilted items. 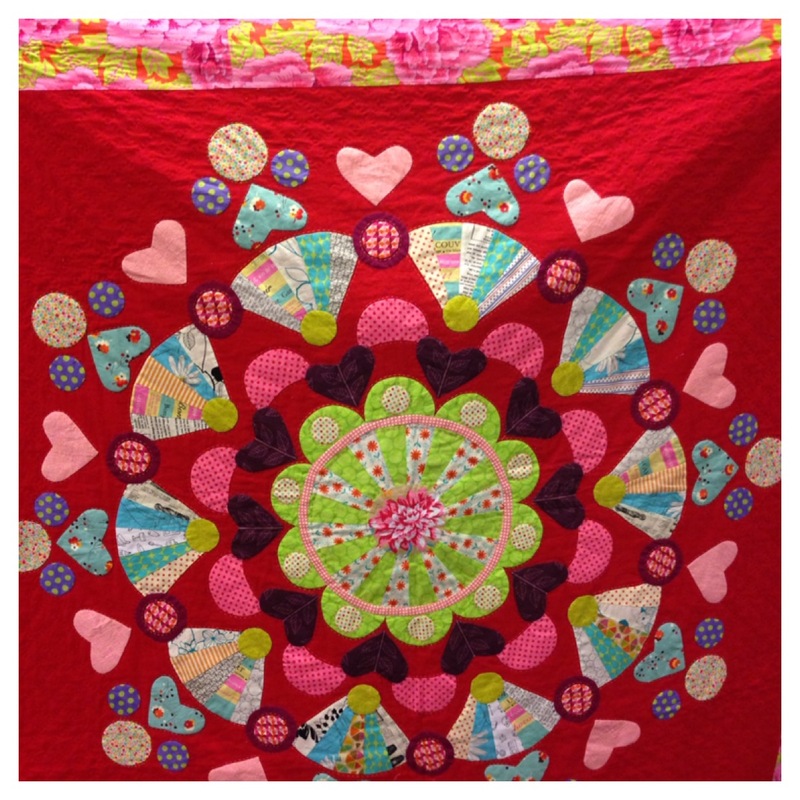 The Wollongong group will be exhibiting their challenge quilts and encourage us to do the same.